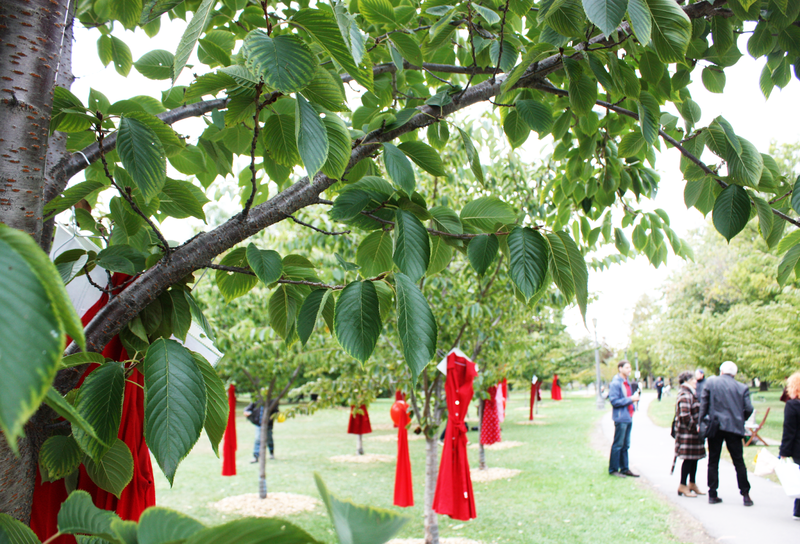 The REDress Project began as an art installation by Winnipeg based artist Jaime Black to raise awareness and honour the memory of the climbing number of Aboriginal women who have been murdered or disappeared in Canada. Today my friends Carrie Johnson and Michelle Dixon, with the help of some great pals, put together a Toronto REDress Project at our Trinity Bellwoods park. 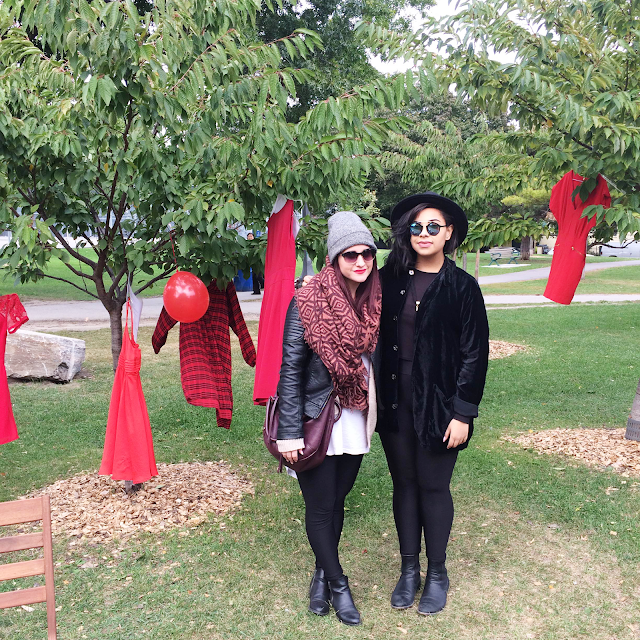 About 55 dresses were donated by the community and displayed as an extension of Jaime Black's installation art project to educate people locally on the issues of gendered and racialized crimes against First Nations women. A 2013 RCMP report revealed frightening statistics on violent crimes committed against Aboriginal women and highlighted the magnitude to which their safety is at risk. Following the release of this information, several organizations including the Native Women's Association of Canada called for national investigation of this growing issue. In 2014, Prime Minister and Conservative leader Stephen Harper rejected this call to action stating "...It isn't really high on our radar, to be honest." The safety of our First Nations people with whom our country has a history of theft, abuse, and genocide by legislation, isn't 'high on your radar'? Nice. His attempts to apologize for these comments were pitiful and further reflect his dismissive attitude towards the issue. 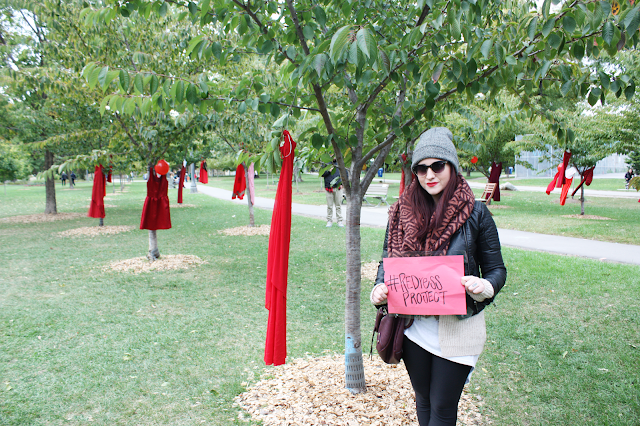 Jaime Black encouraged supporters to wear red on October 4th to help raise awareness. My girls took it one step further! All the dresses donated to the Toronto REDress Project will be sent to Jaime Black and used in future installations at universities, galleries and museums across Canada.